The city of Deltona was founded in 1962 as “Deltona Lakes,” as it is surrounded by eight swamps and lakes. These days, many of the lakes have dried up significantly, but there is still some good fishing in some of them as our boys can attest! A man named George Sauls and his family were the first settlers in the area back in 1859. As a matter of fact, George Sauls Street in Deltona is where his homestead was until it caught fire in 1970. What was once a planned residential community is now one of largest cities in Central Florida. Not only has the city’s infrastructure changed but also its residents’ dedication to maintaining clean and healthy homes! Hello, Deltona Friends and Neighbors: Are you looking to transform your home environment with top-of-the-line carpet cleaning in Deltona, FL? If so, you’ve come to the right place! I’m Ellen Fagan, owner of Steam Clean My Carpets, LLC and your neighbor – literally. My family and I have lived in Deltona for 12 years so far, and we love it! I was looking for a way to get my carpets cleaner than what was possible at the time due to our family pets, both cats and dogs. I came across the Rotovac 360 and decided to buy the equipment to try it. Wow! I could not believe the results, as the pet stains were gone or greatly reduced. I then found my friends and family saying that I got out stains that the big-chain cleaning companies could not get out. That was the beginning of Steam Clean My Carpets, LLC. I expanded and found the best equipment I could for tile and grout cleaning, along with upholstery cleaning. We now do all of that, plus we clean oriental and area rugs, mattresses and do pet urine odor removal. Why Choose Steam Clean My Carpets, LLC? Why choose us, you might ask? Check out our website pages. You will especially want to click on our Specials tab to see the current discounts for carpet cleaning and our other services. Also, please see our videos on how our equipment sets us apart from all the others. 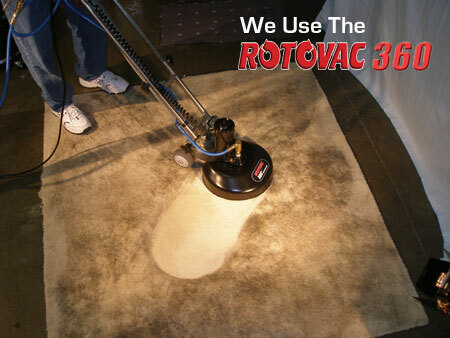 Be sure to click on the tab “Rotovac 360i,” which will show you how we offer a better clean that you just can’t get with a traditional wand! Don’t take my word for it: Take the Rotovac 360i challenge and let us amaze you with the cleaning action of our greatest carpet cleaning tool. What are you waiting for? Please call us today at (386) 860-2202 for the best carpet cleaning Deltona has to offer. Also, please say “hi” when you see us at the grocery store or around town. I look forward to working with you real soon!